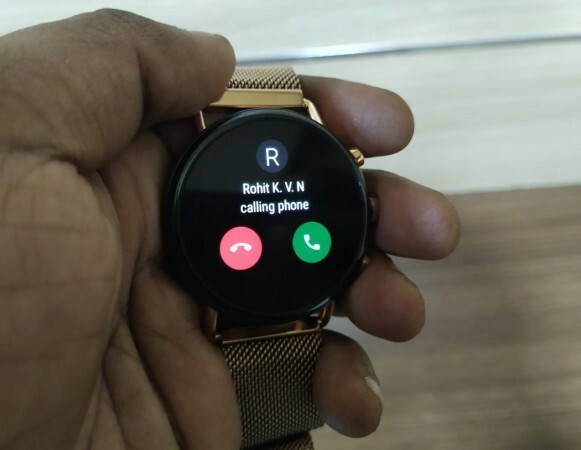 Fossil Group’s subsidiary Skagen launched the Falster 2 series smartwatch in December 2018 in India. It comes with several upgrades over the first generation model in terms of design, and features. Key addition includes NFC (Near Field Communication), GPS and heart rate monitor. 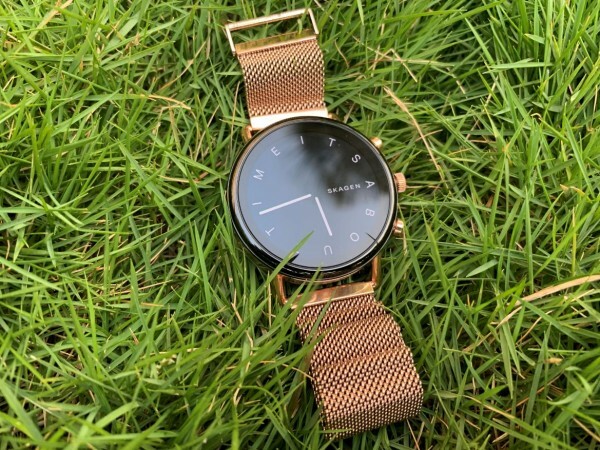 I have been using the Skagen Falster 2 for a close to a couple of weeks and have to say, the Google Wear OS-powered smart wearable several hits and also misses on some crucial attributes compared to the rival brands. 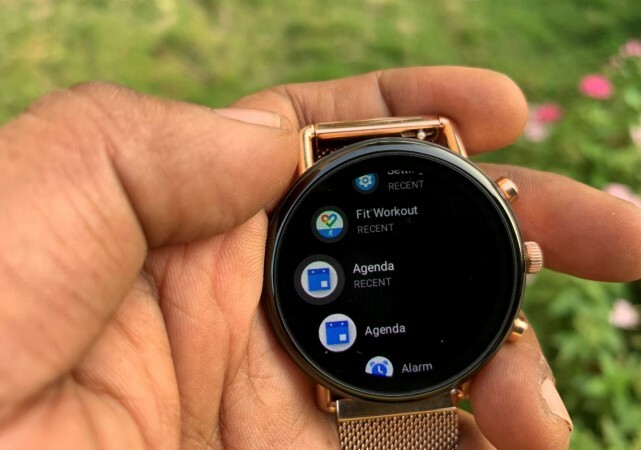 Fossil Skagen Falster 2 is undeniably one of the best-looking smartwatches in the market, at least in India. My review unit flaunts classic circular display encased in a premium steel enclosure with gold finish and it is an instant eye turner. Whenever I went out, several onlookers were hooked to the big shiny watch on my wrist and were curious to know the brand. Though it gave few minutes of fame, it also made me nervous to flaunt it, as well. I commute on the bus to go to the office and I feared I might get hustled during rush hour in crowded transport terminal (Kempegowda Bus Stand in the heart of Bengaluru) and also in the bus. Thanks to full sleeve jackets, I managed to hold on to the Falster 2. I am happy to say, it is packed and waiting for Skagen representative to take it back. Coming back to the topic at hand, the Falster 2 is a bit heavy for my small hands and it is a good attribute, as I was able to feel the watch is in my wrist and this made me less anxious in the bus I travel every day. It also boasts one digital crown in between two shortcut buttons. Have to say, the crown offers the physical feel of an analogue watch when turn to scroll through the watch’s display. As far as build quality is concerned, the straps and the case is top-notch. Even the magnet-based tip in the strap, to tie around the wrist is really powerful. I have to say, it was difficult in the beginning but mastered in a few days. Also, it comes with 3 ATM certification, means it can sustain accidental water splashes and the rainwater. But, it should not be taken for a dip in the swimming pool. The display is made of AMOLED, which needs less power compared to conventional LCD-based screen. But, sadly the watch faces, though creative, are not available in eye-pleasing colours like we see in Apple Watch Series. It has just black and white. 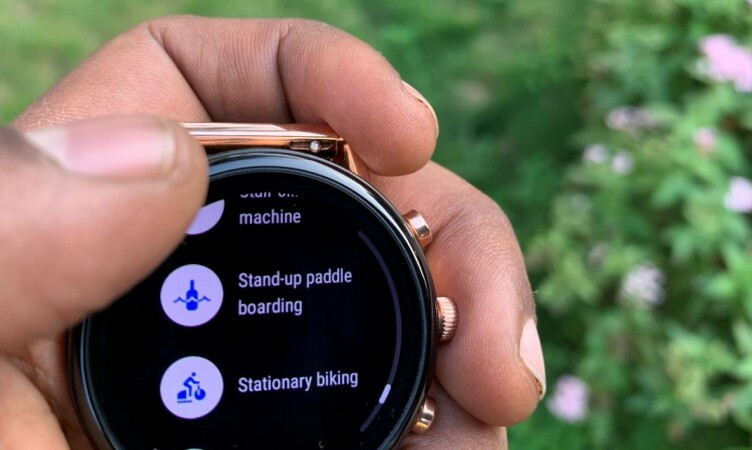 On the bright side, the settings, and also Google Wear OS interface with workouts options and other features support multiple colours. I have to confess, I have been using Apple Watch Series close to a year and this is my first time using Google Wear OS-based smart watch. Both are poles apart in terms of interface, the former was simple and straight forward to understand and it me a day or two to know everything about watchOS. But, it took more time for me to get a hang of the Wear OS. Have to say, it was a learning curve for me. After more than a week of using the Falster 2 and I gained a deeper understanding of the device’s working, settings and features. Oh boy, Google Fit has numerous activity tracker including walking, running. I don’t know the algorithm behind it, but the Falster 2 can calculate calorie burn of a person playing cricket, tennis, intense gym workouts, treadmill walking (& running), yoga, Zumba, skiing, rock climbing, beach volleyball, baseball and several innumerable sports and outdoor activities. I trust heart points and calorie burn points are accurate. 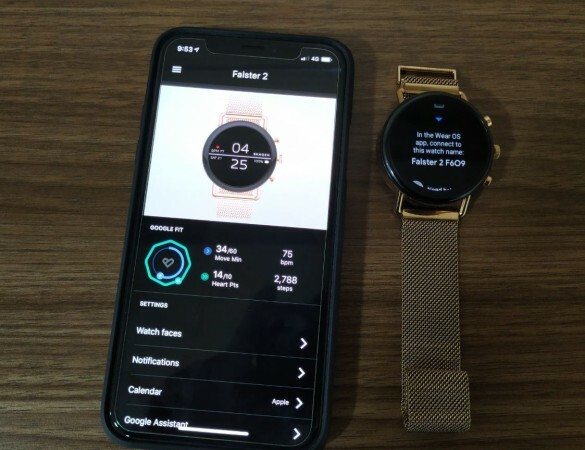 It has heart rate monitor and other standard sensors to count steps taken and just for comparison, I tried the feature on both Falster 2 and Apple Watch Series 4 (review). Both the devices gave identical readings. 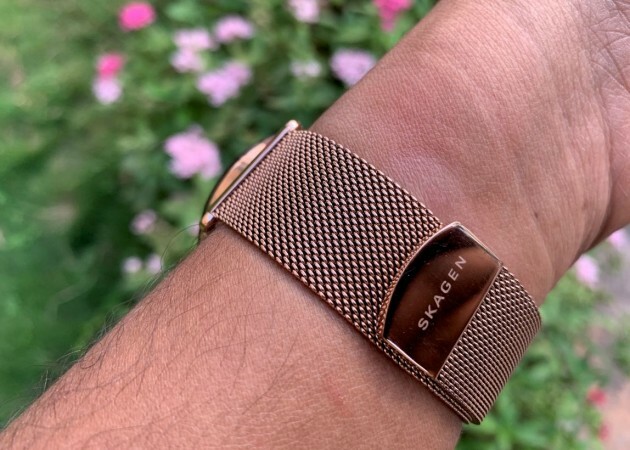 Though the Skagen Falster 2 comes with a mic, just above the crown, we cannot talk during connecting phone, even if we answer the call on the watch, it diverts user to phone to communicate. But, it does come in handy to take inputs for Google Assistant. By long pressing the central crown button, you can invoke Google Assistant to set an alarm, a reminder on the calendar and normal chores. However, I sensed that the Google Wear OS is not optimised with out-dated Qualcomm Snapdragon Wear 2100 as the Falster 2 is a tad slow while opening an app in the setting. For a device, which costs more than Rs 20,000, this is a downer. Also, to navigate to a particular feature, I found it to be a little tedious. That’s probably due to the circular display; the screen real estate looks a bit congested. I have to say, the battery life is the Achilles heels of the Falster 2. The Skagen smartwatch charges faster compared to rival brands, it also drains quicker and barely manages to complete a day’s battery life. I love the classic circular minimalistic design of the Skagen Falster 2 and will surely appeal to lots of Android mobile and iPhone users alike, but its battery life is such a letdown. Despite having a big body (compared to slim Apple Watch Series 4), it can’t last a whole day even under mixed usage. Mind you, the device has AMOLED display and all the Watch faces are dark themed to save battery draining and yet it can’t offer a decent battery life. On the bright side, it charges super fast compared to rival brands.